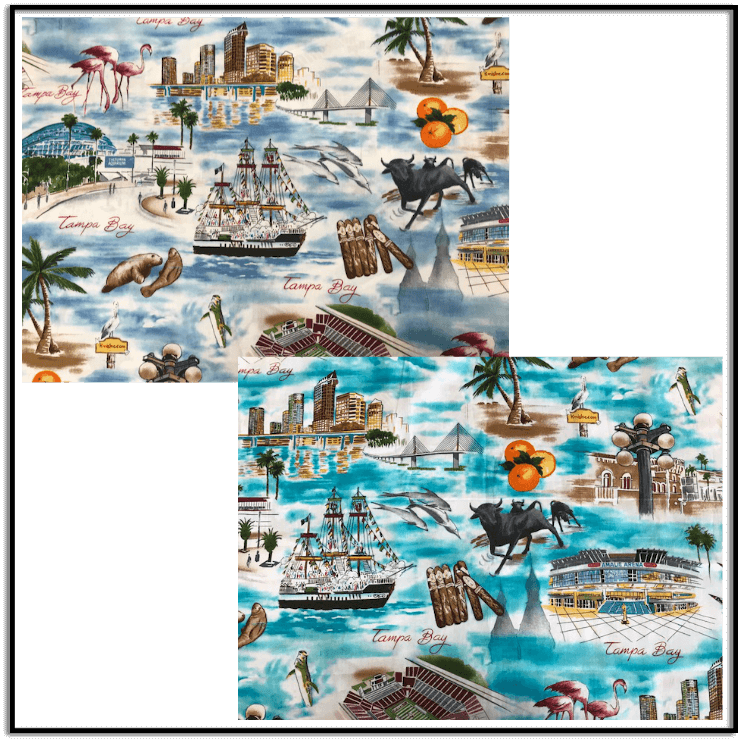 Sold in one-yard increments, this cotton print fabric was designed by Keep Me In Stitches, Inc. and produced by Hoffman Fabrics. 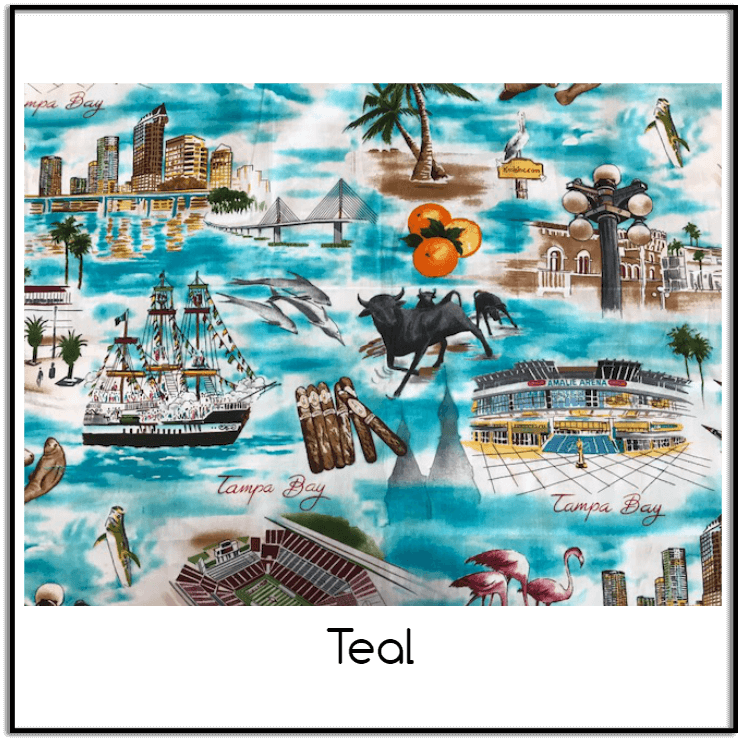 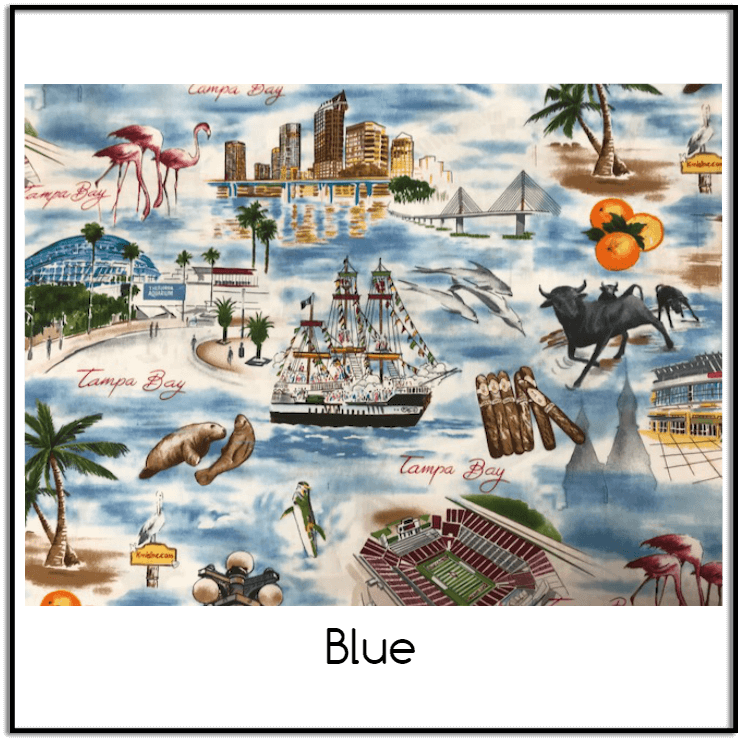 This high-quality, high-thread count cotton fabric features highlights of the Tampa Bay Area and is available in Blue and Teal. Designer: Keep Me In Stitches, Inc.
Sold in one-yard increments, this cotton print fabric was designed by Keep Me In Stitches, Inc. and produced by Hoffman Fabrics.